A shot from the new trailer for "Creed 2," starring Michael B. Jordan and Tessa Thompson. With less than two months to go, the countdown to "Creed 2" is officially on, starting with a brand new movie poster ahead of the film's full trailer release later Wednesday. 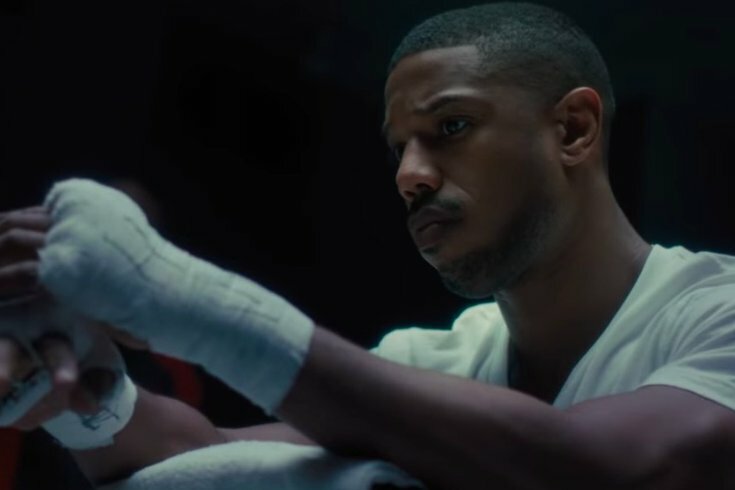 RELATED: The first trailer for 'Creed II' is finally here. Can you spot all the Philly locations? Michael B. Jordan shared the movie poster on his social media accounts Tuesday with the caption: "Trailer Drops Tomorrow." If that isn't enough confirmation, the "Creed 2" Twitter account also gave the smallest of glimpses at what to expect in the new trailer. Both "Creed" movies were filmed partly in Philadelphia. The initial trailer for the latest installment of the "Rocky" spinoff that follows the life of Apollo Creed's son Adonis (played by Jordan) premiered earlier this year. The first look included plenty of Philly locations throughout the two-minute preview. The sequel to 2015's "Creed" will show Adonis as he prepares to take on Viktor Drago, the son of Ivan Drago, the boxer who killed his father in the ring. Michael B. Jordan was the first to unveil the brand new trailer Tuesday afternoon, posting it to his Instagram account. The trailer shows the conflict between Adonis and Viktor as Adonis trains for the fight. Check out the full trailer below and see if you can catch the special appearance by SEPTA.